I have always been an avid LBJ fan. Aside from the Vietnam War, which I recognize is a huge ‘aside,’ he was probably the second greatest president of the 20th century after President FDR, the hero he fashioned his nickname after. 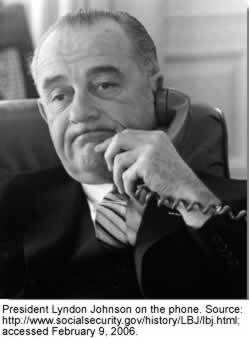 He is most famous for the passage of the Civil Rights Act, Voting Rights Act and the establishment of Medicare and Medicaid. However, achievements also include the Immigration and Nationality Services Act, which allowed non-white foreigners to legally immigrate to the U.S in significant numbers for the first time, the creation of the Corporation for Public Broadcasting (PBS and NPR), Head Start, any many other landmark bills in environmental, educational and anti-poverty policies. One of my favorite LBJ stories, however, involves his response to Hurricane Betsy. Forty six years ago today, Betsy ominously crossed the Gulf Coast, crashing into New Orleans the next morning. The entire 9th Ward was submerged, and much of the city was wrecked by a storm as seismologically powerful as Katrina. In the aftermath of Betsy, LBJ passed legislation directing the Army Corps of Engineers to take responsibility for the New Orleans levee system, which failed so dramatically in 2005 after decades of neglect by multiple administrations. My friend Beth and I took a weekend away from work in Biloxi to drive through Texas, and we stopped at the LBJ Presidential Library in Austin, where I requested all of their Hurricane Betsy files. It was a real treat. For further reading, this site captures the story pretty well, and includes an audio clip of Senator Long’s call to the President, as this site’s pretty thorough too. Six years after Katrina, and days after Irene, it is appropriate to salute a president whose disaster response leadership was a model to his successors. Thanks for reading. 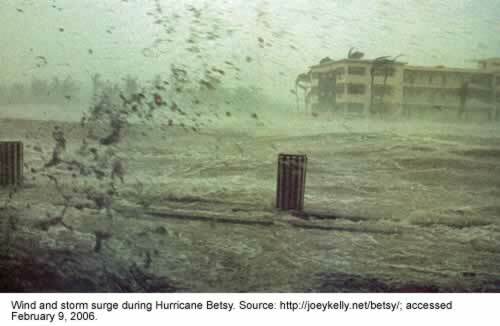 This entry was posted in History and tagged Hurricane Betsy, LBJ. Bookmark the permalink. I tell this story all the time, and I think it was you that first told it to me back in the day. Good one.